I tried as much as possible to stay clear of this controversy all the while it was rising but my conscience couldn't let me and my mind kept troubling me thus far. It has become incumbent to join into the discourse and may be, one's opinion could count more so that the All Progressives Congress has taken the Path of perdition by making the pronouncement that it would conduct a fresh primary election in order to fill the vacancy created by the demise of Prince Abubakar Audu, (may his soul rest in peace) the gubernatorial candidate of the APC. For the ordinary man on the street to have a perfect understanding of the whole issues involved in this, I would not be too legalistic but rather plain and simple. Everybody knows that for one to contest an election in Nigeria, he must be sponsored by a political party and in this case, the late Prince Abubakar Audu contested for the APC Ticket with a host of other aspirants whom he defeated and emerged victorious thus becoming the flag bearer and Candidate of the APC for the Gubernatorial election for Kogi's Lugard House. We also know that for one to be a proper Candidate before INEC, his name must be submitted with another as his running mate. This other person may be selected single handedly by the Candidate or in consultation with the Party or other stakeholders depending on the prevailing circumstances of the time or place in issue. Now, having done that, INEC would display the names of all Candidates of political parties contesting the election showing their ages, educational qualifications, parties under which they are contesting and of course their positions ie Governorship or Deputy Governorship positions amongst other things. The purpose of this display is to let the general public know that these are the 'people' they will be entrusting their mandates to into the various offices against their names and perhaps if the public have objections as to whether the candidates lied about their ages or qualifications or their state of being, they can forward same, go to Court or where INEC itself omitted certain facts about the Candidates, the Parties or such Candidates can get back to INEC to rectify. 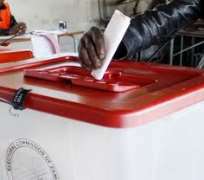 Candidates may also withdraw their candidature within specified time and parties may replace the candidates, the death of Candidates before election, etc. Now, we must not forget that all these stages from Party nominations, submission of names of Candidates by Parties to INEC, display of names of Candidates by INEC and the date for elections as enumerated above are all provided for by the Law and in this case, sections 85 (1) & (2)(b), 87, 30, 31, 32, 33, 34, 35 and 36 of the Electoral Act 2010 (as amended). All the above provisions were made to ensure smooth and peaceful conduct of elections and to ensure fairness at all the stages and to protect Candidates from the arbitrariness of Parties as we have seen in the case of Amaechi v Omehia in Rivers State in 2007 where Amaechi was validly nominated but Obasanjo then said he was having issues so Omehia was handed his ticket to contest as PDP candidate. The tenacity and doggedness of Amaechi put paid to his struggle as he was given back his mandate even though the Hawks then argued that he did not contest the general election! Several other occurrences brought about changes in our Constitution like the provisions of Sections 145 and 190 respectively where the hitherto practice of a Governor appointing an acting Governor other than the Deputy in his absence was squarely addressed and of course the drama that transpired during Late President Yar'adua's ailment was adequately addressed by this provision. Now we are going to see and address the Kogi issue from this same simple prism. The Governorship election was conducted on Saturday, 21st November, 2015 wherein the late Prince Abubakar Audu of the APC garnered 240, 867 votes as against Captain Idris Wada of the PDP and incumbent Governor's 199, 514 votes. The election however, was declared inconclusive because elections were cancelled in about 91 polling units with a combined total of about 49, 953 registered voters. The sole reason for such a declaration by INEC was because the difference between the two leading Candidates was a total of 41, 353 votes of which 49, 953 votes can change the outcome of the election. In this process, the leading Candidate, Prince Abubakar Audu, may the Lord bless his Soul and grant him eternal rest, breadth his last and left the scene of uncertainties! Tongues started wagging, interests started showing, muscles started flexing as well and in the midst of all these, reason took flight because no one was bothered with it but everyone was looking at the opportunity that becomes open unmindful of the fact that election took place, valid votes were set aside awaiting the conclusion of just a fraction of the polls! Like I said, I will resist the temptation to be too legalistic but assuredly, in this simplicity, we shall arrive at the most informed and equitable legal solution to this quagmire! Let me remind us all that the 49, 953 are only registered voters. In these numbers, many are dead and still many will die before 5th December, 2015, the new date for the bye election in the 91 polling units. Many would be sick that the cannot vote. Many registered but they won't be opportuned to cast their votes as the are away from Kogi, there would be void votes and certainly many would stay away from voting for fear of violence, loss of interest and some simply because they just obtained the voters card to fulfill all righteousness but they don't vote! Now give or take modestly, about 4, 953 votes out of the 49, 953 from the 91 polling units outstanding. We are ending up with about 45, 000 votes to be struggled for by 22 parties with one already having a wide margin of 41, 353 against its closest rival. Back to the issue at hand. The law has provided that for a candidate to contest for election as either President, Governor or Chairman of a Local Government, he must have a running mate. The makers of our laws could simply have provided that after election, the winner could appoint his Vice or Deputy as he so wishes or rather, the Party could appoint a Vice or Deputy for the winner since it is the owner of the mandate! Why did they insist on going into the race with a running mate? The reason is simple! To eliminate unhealthy competition after polls and to also give the electorates the opportunity of assessing their candidates vis a vis their running mates with the intention of making informed choices in the event of unforeseen circumstances like the one at hand! Let us not forget that the Party has the right to change its candidate in the event of death or withdrawal only before election but once election took place, conclusive or not, that window becomes sealed! Here again, many are arguing that the election is not conclusive so the Party can still organize a Primary election and bring another candidate! The question here is, what becomes of the 240, 867 votes already cast for the Party in the names of the Late Prince Abubakar Audu and Honourable James Falake? Late Prince Audu is no more and so the sole owner of the 240, 867 votes thus far in store now is Honourable James Falake and the Party is just a trustee of these votes! Given the circumstance above and you are to sit in judgment, honestly and sincerely, what would be your decision? Legally, equitably, politically, morally and otherwise, it would amount to the greatest fraud on both Honourable James Falake and the good people of Kogi State for APC to think of organizing another Primary election in the first place when Honourable James Falake is alive and kicking! This judgment must not come from the Court alone! We all have common sense to draw analogies and inferences from the past and the present to forecast the future. The Supreme Court said the Candidate and his running mate are joint owners of the votes cast for them as their votes cannot be separated one for another. What makes this one different? Because the election was inconclusive? In the event that another person other than Honourable James Falake emerges as the APC flag bearer, can he lay claim honestly and sincerely to the 240, 867 votes already in store? No wonder Orphans are growing up with bottled up anger against their late father's relations for taking over their inheritance and leaving them on their own! From the above scenario, it is clear that APC is at a cross road. To do what is right and noble in spite of whatever and save us a lot of trouble as well as demonstrate fairness and justice or follow the path of perdition and end up being disgraced ultimately. Lawfully, Honourable James Falake is to step into the shoes of his Principal, late Prince Audu, as the Candidate of the Party and in the Circumstance, the Party may take the sole prerogative of appointing a running mate for Falake on liberal terms in order not to bring someone that may be a disaster for the Government and the Party in the long run. Anything short of this is evil and cannot stand in law. The Kogi case has opened a new vista in our legal and political development. It has now become imperative for electorates to insist on having competent and credible running mates they can trust with the affairs of their states in the event of situations like this. I equally call on the APC leadership to make a difference by calling off the Primary election they are about holding as it is needless as it is unlawful. Honourable James Falake is the equitable and legal candidate and flag bearer of the APC in Kogi State and anyone that may be brought in to take the place of Prince Audu other than Falake would be an impostor and usurper that would certainly be placed in his place by the Court appropriately! Disclaimer: "The views/contents expressed in this article are the sole responsibility of Sunday Joshua Wugira and do not necessarily reflect those of The Nigerian Voice. The Nigerian Voice will not be responsible or liable for any inaccurate or incorrect statements contained in this article."